We offer well service for North port and surrounding areas we are a family owned and operated by Cynthia & Charles Robins focusing in clean water including water softening, reverse osmosis and other filtering plus pump service . They have over 25 years experience . AAWS specializes in providing water softening systems and other filtering solutions for well water residential & commercial customers in Southwest Florida. 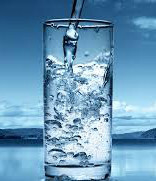 We provide treatments for both city water and well water. We have solutions for everything from odors to mineral deposits. We provide monthly maintenance, installation services, troubleshooting for hard water issues, salt water systems and more. If you want a high-quality water treatment and filtration system customized to your needs, we can recommend, install and maintain exactly what you need. You need safe water for yourself, your family and your employees and that is our number one priority for you. We understand the importance of reliable water systems here in Florida and only recommend products that work and are warrantied. We also focus on providing the most technologically advanced water systems that will provide long-term solutions for your water needs. We always take a personal approach and follow the Golden Rule. Got Hard or Stinky Water? Call Us!